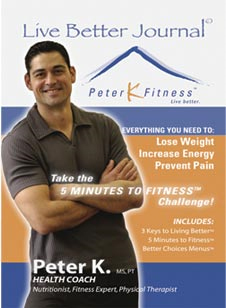 This is Peter K’s first book and the foundation for the 5 Minutes to Fitness program. This is a must have to learn the “nuts and bolts” of health success. Peter K highly recommends starting with this book.